Galactic Empire Shields fabric features the words "Galactic Empire" in circles alternating with a St..
Star Wars Darth Vader Fleece. 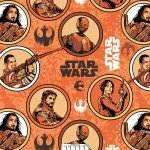 This fabric is great for no-sew blankets, craft, and home decor projec..
Star Wars Force Awakens Characters fabric features a group drawing of Kylo Ren with two Stormtrooper..
Star Wars Force Awakens Orange Collage fabric features drawings of Rey, Finn, Chewbacca, BB-8 and va..
Star Wars Force Awakens Red Patch fabric features drawings of Kylo Ren, Captian Phasma and Stormtroo..
Star Wars Force Awakens Rey cotton panel features Rey with BB-8 walking through dusty terrain, with ..
Star Wars Galactic Empire Fleece. 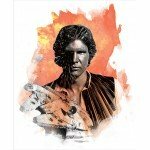 This fabric is great for no-sew blankets, craft, and home decor pr..
Star Wars Han Solo cotton fabric panel. Fabric for quilting, sewing, craft and home decor projects..
Star Wars Kylo Ren Force Awakens cotton panel features Kylo Ren with his lightsaber drawn and ready ..
Star Wars Princess Leia cotton fabric panel. Fabric for quilting, sewing, craft and home decor proje..
Star Wars Original Characters Flannel fabric features the characters from the Star Wars Rogue One Mo..
Star Wars Rogue One Orson Krennic cotton panel features the Orson Krennic posed in action for the mo..
Star Wars Rogue One Rebel Alliance cotton panel features the Rebel Alliance posed in action for the ..
Star Wars Rogue Orange Fleece. 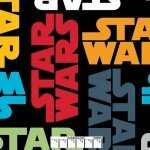 This fabric is great for no-sew blankets, craft, and home decor proje..
Star Wars Words Repeat Fleece. This fabric is great for no-sew blankets, craft, and home decor proje..